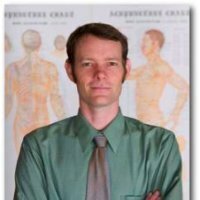 follow David Russell, L.Ac,CMT,DNBAO is a licensed acupuncturist, herbalist, and certified sports medicine massage therapist, with a Master’s degree in Traditional Chinese Medicine from the Five Branches Institute in Santa Cruz, CA. here He has also traveled to China, for post graduate studies in acupuncture and herbal medicine, at the Zhejiang College of Traditional Chinese Medicine Teaching Hospital. David has completed an orthopedic acupuncture specialty program and is one of the few Diplomates of the National Board of Acupuncture Orthopedics. dove acquistare levitra contrassegno online Inspired to holistically heal vision conditions, David Russell studied under the nationally acclaimed Dr. Andy Rosenfarb. Now David brings to you a specialized form of acupuncture that can treat several degenerative eye conditions that has proven to successfully improve vision in 75% of the patients who receive this therapy. click Established in Petaluma since 2006, David has garnered the Petaluma’s People’s Choice Award for Best Acupuncturist in 2010 and 2011, and the Bohemian’s Best of the North Bay in acupuncture for 2008, 2009, and 2011. Heidi Grainger Russell is the co-owner and office manager of Russell Family Acupuncture. Heidi’s office and business management skills come from years in management positions prior to the opening of this office. She managed businesses in Las Vegas, Nevada, and Portland, Oregon. Heidi also managed the office of the world-renowned Michael and Leslie Tierra of East-West Acupuncture in Santa Cruz, California. It was under the Tierras’ tutelage that she learned herbology, supplementing hands-on training by the masters with course work at the American School of Herbalism. Heidi achieved certification as a Nutritional Consultant after completing course work at the Global College of Natural Medicine in Santa Cruz. 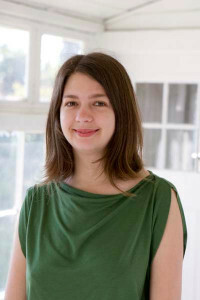 Heidi is a free-lance writer and has written professionally for the Five Branches Acupuncture School in Santa Cruz. She has lent her musical talents as a drummer and singer to such bands as Fusinai and Broken Machine in Las Vegas, and The Bluebellies, The Riff Raff Ramblers, and now The Stratospheres, in Petaluma. She has been an equestrian since she was eight years old, having competed and won many awards in western pleasure, English pleasure, and gymkhana. She now rides her horse, Sunny, just for fun, and she and David keep him healthy with massage and acupuncture. We are located at viagra prices 210 4th Street between D and E Street across from Walnut Park in downtown Petaluma, CA. See our http://stlsings.org/?search=drugs-like-viagra-and-cialis-work-by-lil&f55=3a map. The door to our office is on the North West side of the building. Just follow the path around to the right. We offer acupuncture, massage and herbal medicine in a beautiful, healing environment. Acupuncture is covered by many insurance companies these days. If you have any questions in regards to coverage, please call or email us and we would be happy to help. Our acupuncture sessions include herbal, dietary and lifestyle consultations, acupuncture, massage, cupping, gua sha, and other healing techniques. Each treatment is custom tailored to your needs and the techniques necessary for your optimal healing will be utilized. A thorough health history will be taken and evaluated. 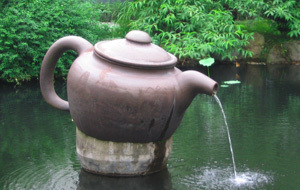 Then, your current state of health will be examined through a variety of integrative diagnostics based on Traditional Chinese medicine and Western medicine. This will result in a plan of action specific to your needs. Treatments can last between 30 to 60 minutes. It is advised to wear loose fitting, comfortable clothing that can be rolled up to your knees and elbows.